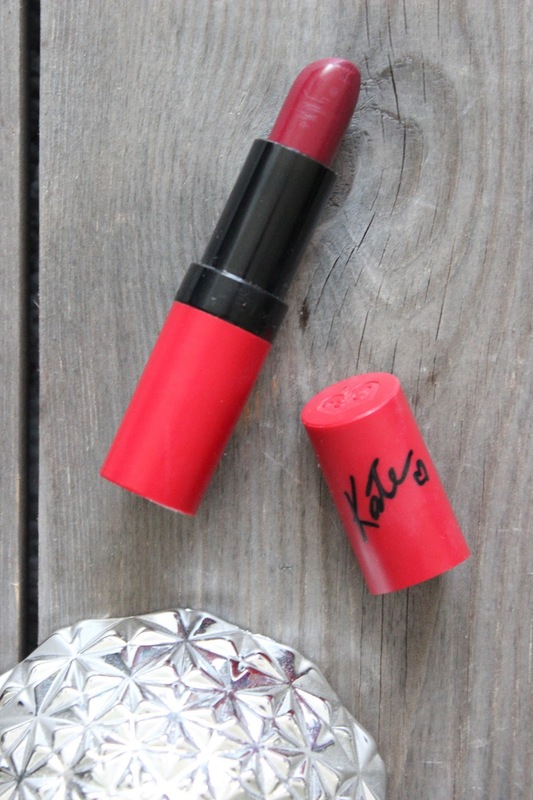 Rimmel #107 Lasting Finish Matte by Kate Moss is a deep berry red lipstick packaged in a simplistic matte tube. The vampy shade is borderline raspberry opposed to plum on my lips and is very flattering on my skin tone. The finish is not a true matte; it’s more of a velvet matte. The formula is creamy and the pigmentation is intense. On application it doesn’t drag, although a steady hand is required as it has the tendency to smudge a little. But to avoid looking like a clown, I like to use a lip brush. The lipstick can be dabbed onto the lips to give a stained effect, or applied heavily for a vampier intense colour. And although the colour is rich, it doesn’t bleed. Due to it’s velvet matte formula, it’s lasting power isn’t all that bad either (but it's nothing on my Gerard Cosmetics Hydra Matte Liquid Lipstick!) it lasts around 4 hours and although when initially applied it feels rather moisturising, after a few hours wear it can feel dry, so apply a little lip balm before hand. #107 does have a light fragrance, which I’m not a huge fan of. The scent is very similar to the Rimmel Apocalips Lip Lacquers.